At Supreme-Essay.com, we provide some of the best guarantees of all online essay writing services available today. 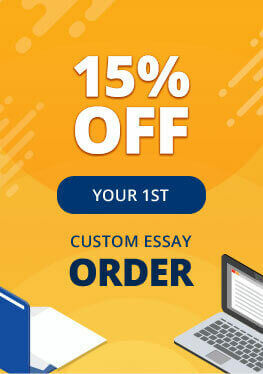 When rifling through essay writing services online to buy custom essays and other academic assignments from, there is no place better than Supreme-Essay.com. We have numerous years of experience in this online industry and maintain focus on creating strong, long-lasting relationships with all our customers. To do this, we provide top quality services to all customers when they are in need of custom essays or any other types of assignments. Here are just some of the guarantees we are able to provide for you at Supreme-Essay.com. All ordered papers pass our plagiarism detection software program and if there is plagiarism detected, customers are provided with a full refund. However, a client has to provide us with a complete report on plagiarism proving that the work includes some copied units. On time delivery of all final papers (according to the deadline stated in the order form). All papers are written by a native English speaker with a university degree in a related field of study. Complete support at all times during the order process, including a direct communication between the customer and the writer assigned to the academic assignment. Complete privacy and confidentiality at all times. The company never sells or discloses customers' personal information to anyone. Proper and accurate citation of all sources utilized in the academic assignment in accordance to the citation style indicated by the customer. No reselling of recycling of old papers – they will never be posed online. When you need help with your next academic assignment, there is no better place on the Internet to go to for assistance than Supreme-Essay.com! Contact us today and learn more about the guarantees we have to offer.